Combining the different scenarios from the previous two posts in the series, I highlighted the lowest marginal rate available to US businesses (one version with pass-though business income taxed as earned income the second taxed as unearned income). 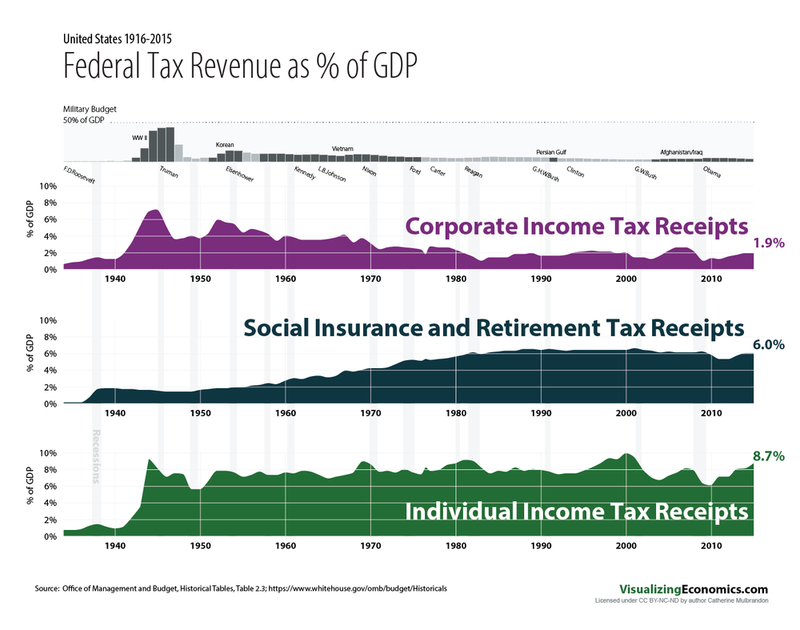 These graphs, showing how different business structures are taxed a different top rate and that the business structure that offered the lowest marginal rate has changed over a 99-years. After 1970, pass-through businesses taxed as earned income via the individual tax code offered the lowest marginal rate. 1935-1939; 1952-1970 the lowest option was the effective top rate on C corporate profits & capital gains. Before 1935; 1940-1951 the lowest option was the effective top rate on C corporate profits & dividends. After 1981, pass-through businesses taxed as earned income via the individual tax code offered the lowest marginal rate. 1935-1939; 1952-1981 the lowest option was the effective top rate on C corporate profits & capital gains. For comparison, you can see how the top marginal individual income taxes rates for the highest earners dropped since the 1950s while the social insurance taxes (i.e. the payroll marginal tax rates) increased. If you wish to support this project on US taxes and get a first look at the graphs as I make them, make a monthly pledge on Patreon.